When you ask foreign tourists what they would like to see, then 99% of people would say 1) wildlife; 2) Cape Town and 3) something about Africa, which they cannot exactly, pinpoint. That I would say is the real South Africa and it easy to find in the culture, the traditions, talking to the people, listening to their stories and to reach out to touch their hearts and souls. The warmth, generosity and spirit of South Africans will open your heart and broaden your view. Here you will find a melting pot of 1st and 3rd world, of city dwellers living a fast-paced western life style and rural tribe members who live much as their ancestors did hundreds of years ago. As for wildlife this is where mighty animals with celebrity status trek the South African landscape. If you want to see the greatest game show on earth, South Africa is your ticket to paradise. 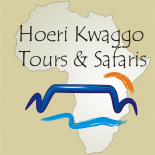 Within a few hours of the major cities are incredible national parks and private reserves where you will encounter the “Big 5”; carnivores like cheetahs, hyena’s and wild dogs; water creatures like hippo’s, crocodiles, whales and sharks; antelope big and small from the giraffe to the steenbok, and a gazillion other creatures ranging from birds, reptiles, insects and amphibians. For diversity, color and sheer numbers, nature lovers are drawn to South Africa. The country has 24,000 plant species and is home to one-tenth of the world’s flowering plants including orchids, lilies, gladiolas, freesias, geraniums, numerous succulents and proteas, South Africa’s national flower. The Western Cape contains one of the world’s six floral kingdoms. So think twice when you draw up your “bucket list” and consider putting South Africa right at the top. This entry was posted on September 26, 2011 by liana in Misc..